This skull mask is hand made and painted. 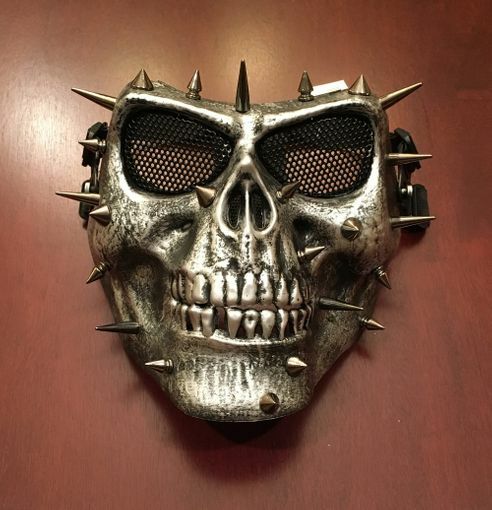 Mask is accented with silver metal spikes. Skull mask is made of a non bendable PVC and has wire mesh over the eyes. Comes with black elastic band for a comfortable fit.